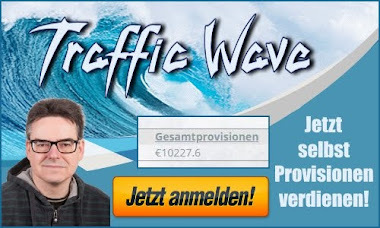 #DocGoy: Wussten Sie schon, was HootSuite alles kann? Als erstes kann man natürlich mehrere Twitteraccounts parallel managen, weswegen ich Hootsuite überhapt angefangen habe zu nutzen. 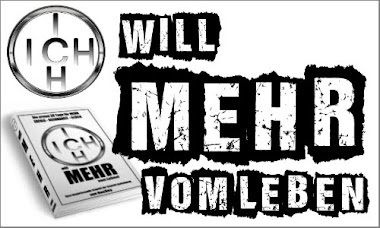 Doch mittlerweile geht da viel mehr! 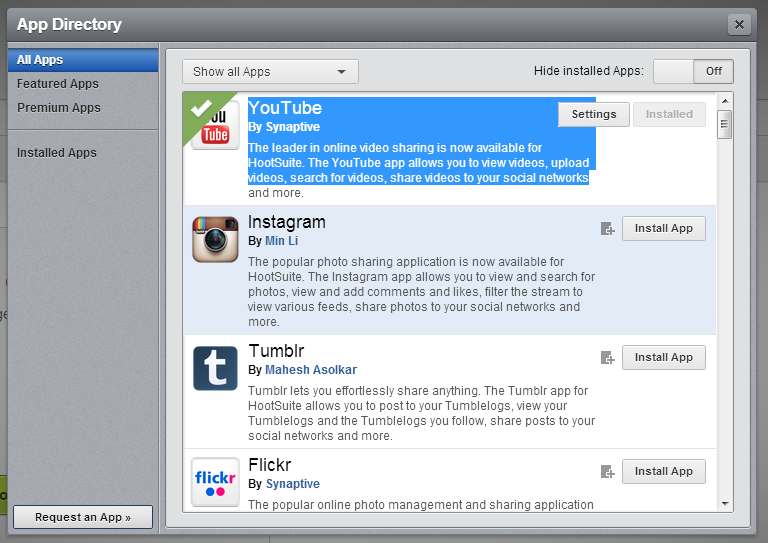 The popular photo sharing application is now available for HootSuite. The Instagram app allows you to view and search for photos, view and add comments and likes, filter the stream to view various feeds, share photos to your social networks and more. Tumblr lets you effortlessly share anything. The Tumblr app for HootSuite allows you to post to your Tumblelogs, view your Tumblelogs and the Tumblelogs you follow, share posts to your social networks and more. 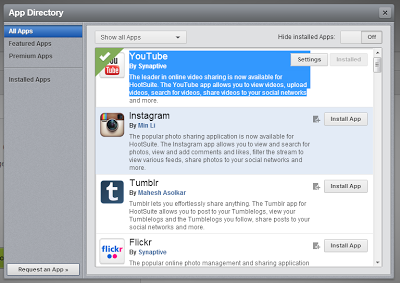 The popular online photo management and sharing application is now available for HootSuite. The Flickr app allows you to view images, upload images, search for images, share images to your social networks and more. 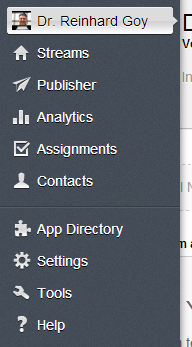 The RSS Reader app provides a quick and easy way to view RSS feeds in the HootSuite dash. Simply add your feeds individually, or upload OPML files to import multiple feeds, and get a stream of organized stories and articles that you can not only preview, but share to your social networks. TrendSpottr lets you find the most timely and trending content from across the social web. The TrendSpottr app for HootSuite allows you to search for trending content by topic, keyword or phrase, or select from a list of popular searches, and easily share trending stories, videos and more with your social networks. MailChimp provides an easy way for users to send email newsletters, manage subscriber lists, and track campaign performance. The MailChimp app for HootSuite allows you to view and search for recent campaigns, share these campaigns to your social networks, view campaign results and more. Constant Contact provides email, event, and other online marketing tools to help small organizations grow their businesses by building stronger customer relationships. The Constant Contact app for HootSuite allows you to view results from your recent email campaigns, share campaigns to your social networks, and more. 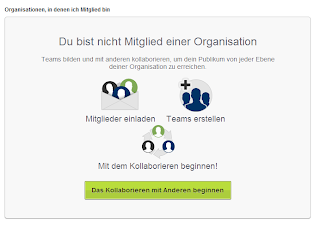 Evernote allows users to capture, organize, and find information across multiple platforms. The Evernote app for HootSuite provides an elegant way to create notes from social media content, view and edit notes, share notes to your social networks and more. InboxQ is the best way to show what you know, earn new followers and generate business leads by answering questions on Twitter. With the InboxQ app for HootSuite you can find questions on Twitter based on keyword and phrase searches, fine tune search results, and more. Get Satisfaction is a simple way to build online communities, enabling productive conversations between you and your customers. The Get Satisfaction app for HootSuite allows you to answer questions from Twitter and Facebook streams, create topics from social content, monitor your community, reply to topics created by your customers and more. 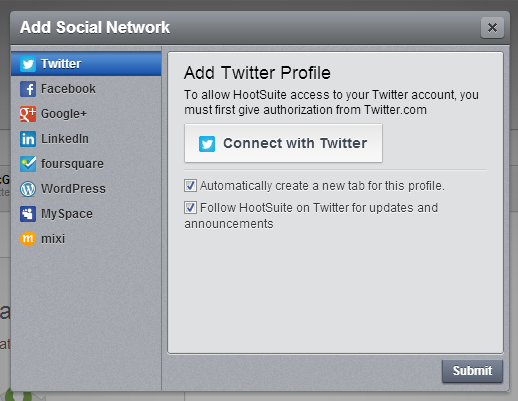 The advanced community management and analytics tool for Twitter is now available for HootSuite. The SocialBro app allows you to search, filter and view where your followers are from, which language they speak, their activity on Twitter and more. Storify helps users tell stories by curating social media content. The Storify app for HootSuite allows you to quickly and easily curate social content from Twitter and Facebook streams in HootSuite, adding them directly to your stories in Storify. Yammer is an enterprise social network, providing a secure way for employees to communicate, collaborate, and share information. The Yammer app allows you to monitor and publish to your groups, like and reply to updates, view attachments and more. StumbleUpon is the easiest way to find new and interesting web pages, photos, videos and more from across the Web. The StumbleUpon app allows you to view and search for content related to specific Web Sites, Interests, Usernames or Channels, share this content to your social networks and more. The popular Brasilian social network is now available for HootSuite. The Orkut app allows you to view images, play videos, post to your network, comment on activity and more. reddit is an online community that displays news and content based on your personal preferences and what the community votes up as interesting. The reddit app for HootSuite allows you to stream the hottest content from reddit, including the subreddits you subscribe to, share content with your social networks and more. Zuum is a tool that shows marketers what works on Facebook, helping to maximize the impact of content. The Zuum app uses an Engagement Algorithm to deliver a feed of content proven to be highly engaging in social media. Scoop.it lets you shine on the Web through beautiful topic pages where you can share ideas that matter. The Scoop.it app allows you to find more relevant and quality content that you can share seamlessly to your social networks, Scoop content found in Twitter and Facebook streams and more. NeedTagger helps you find new customers for your business. Works like a search engine: target prospects by industry, profile, location, keywords and intent (seeking, questioning, buying, complaining, etc.). Daily email alerts. Free version is rate-limited. GoPollGo is the simplest way to get feedback from your friends, followers and customers. The GoPollGo app for HootSuite lets you create polls, quickly share them to your social networks and view the results in-dash in real-time. Identi.ca is the best-known social network developed on the Open Source microblogging software StatusNet. The Identi.ca app for HootSuite allows you to post status updates, monitor timelines and messages, track your replies, view conversations and more. 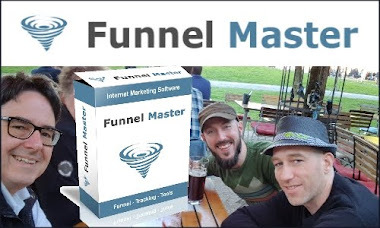 HubSpot all-in-one marketing software helps marketers attract leads and convert them into customers. 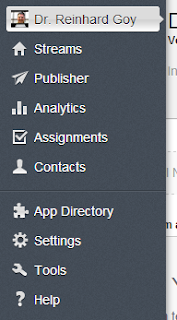 The HubSpot app for HootSuite monitors social messages from your Leads, to identify opportunities for engagement. Users can also monitor their best-performing HubSpot keywords for relevant conversations that could lead to prospecting opportunities. SlideShare is the world’s largest community for sharing presentations, documents, PDFs, videos and webinars. The SlideShare app allows you to view and search for SlideShare content, share content to your social networks, view content information and more. 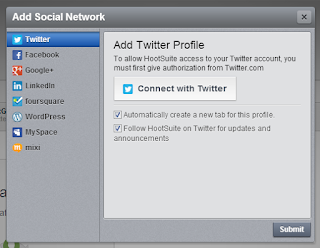 The popular professional social network is now available for HootSuite. The Viadeo app allows you to post status updates, view news items, view and add comments for news items in your network and more. Use all the real-time optimization and content scoring of the SocialFlow Optimized Publisher from right inside your HootSuite Dashboard. Adding a SocialFlow content queue to your existing HootSuite streams is easy -- and ensures that every Tweet or status update you post will go out at the optimal interval to connect with the most likes, shares, clicks and Retweets. Vision Critical Surveys lets you easily design and send surveys to get quick and actionable data to support your business decisions. The Vision Critical Surveys app for HootSuite allows you to share surveys with your social networks, monitor results in real-time and more. 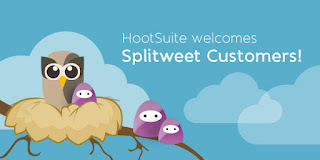 The leading European network for business contacts is now available for HootSuite. The XING app allows you to post status updates to your network, view activity in your network, view and add comments and likes to network activity and more. Chime.in is a social interest network that enables publishers to join and build dynamic communities around brand topics and products. The Chime.in app for HootSuite allows users to schedule and send chimes, leave and view comments, preview photos and video, and more. The popular Chinese microblogging service is now available for HootSuite. The Sina Weibo app allows you to search for content and monitor feeds, re-post content to your feed, view and post comments, share content to social networks and more. The leading provider of Help Desk software is now available in HootSuite. The Zendesk app allows you to quickly and easily create tickets in Zendesk from individual messages found in Twitter and Facebook streams in HootSuite. It’s easy to make professional quality videos with Videolicious, and now it’s just as easy to share them. The Videolicious app for HootSuite allows you to view a stream of your polished videos and easily share them to your social networks. Nexalogy helps you navigate the torrents of information online to find the streams of conversation relevant to you. The Nexalogy app allows you to view interest maps to see ideas and connections in your social graph, view details on Twitter volume, top concepts, and hashtags, and see top links related to your account or search term. edocr provides a highly interactive environment for publishing and distributing an organization’s public documents across the Internet. The edocr app allows you to search for documents by keyword or user, upload documents to your edocr account, view and comment on documents, share documents to your social networks and more. The largest self-hosted blogging tool is now available for HootSuite. The WordPress app allows you to monitor your WordPress.org pages and posts, create and edit pages and posts, view, add and moderate comments, share your pages and posts to social networks in HootSuite and more. The popular Chinese social network is now available in HootSuite. The Renren app allows you to view all of the status updates posted by you and your friends, post status updates, including photos, comment and like status updates and more. CMP.LY, Inc. social media disclosure solutions allow you to mitigate risk, fulfill regulatory obligations and reduce the overhead of social initiatives. The CMP.LY app allows you to create social media disclosures in stream, search for and preview your disclosures in dash, add disclosures to your social messages and more. Reachli provides a suite of tools to help content creators and sellers of goods easily post and measure their visual content on Pinterest. The Reachli app for HootSuite allows you to create campaigns when pinning to your Pinterest boards and view metrics for pins such as number of clicks, likes, repins and total reach. Vimeo is an online video sharing website on which users can upload, share, and view videos. The Vimeo app for HootSuite allows you to upload videos, search for and view videos within the dash, share videos to your social networks and more. Scripted is a scalable content creation solution for businesses looking to increase their inbound marketing metrics. The Scripted app for HootSuite allows you to stream all your social content jobs for easy distribution of personalized social media messaging to all your social networks. 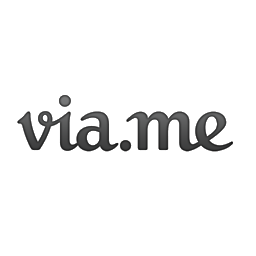 Via.Me lets you share your stories in pictures, video, sound and text. The Via.Me app for HootSuite allows you to upload media to your Via.Me account, stream your home feed, view account activity, follow fans who like and comment on your posts and more.